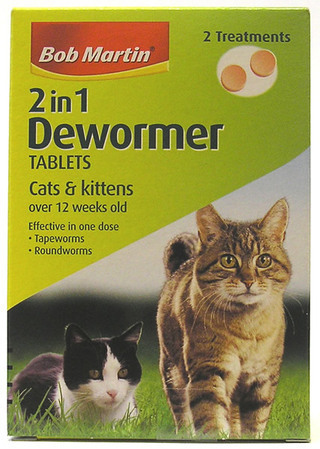 Bob Martin 2 in 1 Dewormer Tablets for cats and kittens is an effective treatment against all common types of intestinal worm that can normally infect cats in the UK. Clinically proven, the tablets require only one dose to help keep your cat healthy and worm free. Effective treatment of roundworms and tapeworms for cats and kittens over 12 weeks of age.